NEW YORK, NY (June 18, 2018 / Updated September 21, 2018) — Lincoln Center for the Performing Arts announced its 2018 White Light Festival, which will run October 16 through November 18. The multidisciplinary festival will feature events presented in six venues across the city, including world, U.S., and New York premieres. The ninth annual international festival will explore transcendence, interior illumination, and the communal impulse as exhibited through artistic expression across continents and centuries. The 2018 White Light Festival opens on Tuesday, October 16 with the return of Sidi Larbi Cherkaoui’s Sutra, which had its U.S. premiere in a sold-out run at the inaugural White Light Festival in 2010. The Belgian choreographer mixes contemporary dance with martial arts in this singular piece featuring warrior monks from China’s Shaolin Temple, a Zen Buddhist enclave devoted to kung fu. 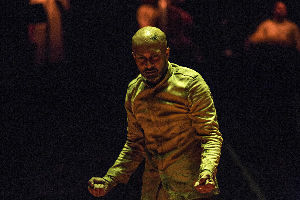 In another bold fusion of East and West, British choreographer Akram Khan presents the U.S. premiere of XENOS, which marks his final solo performances as a dancer in a full-length piece. 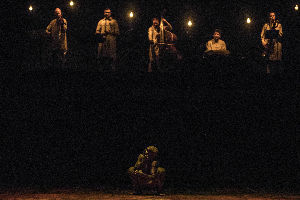 Combining classical Indian kathak and contemporary dance, Khan conjures up the shell-shocked dreams of a colonial soldier in this exploration of identity, personal mythology, and the universal horrors of war. 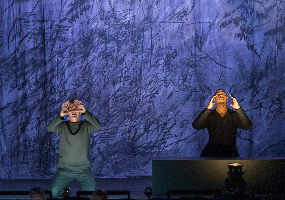 Two more groundbreaking works bring contemporary dance to the stages of White Light. 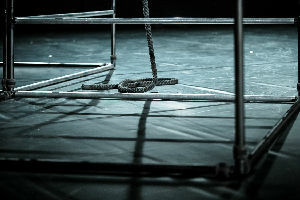 Cutting-edge Company Wang Ramirezbased in the South of France, presents the New York premiere of Borderline in which dancers, attached to cables, bring to light and transpose the desire of freedom inherent in all forms of dance to create a visual poetry of gravity and weightlessness. 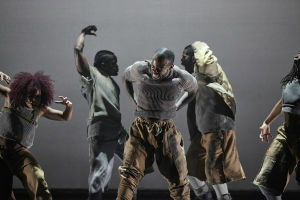 East London’s Boy Blue, founded by Michael “Mikey J” Asante and Kenrick “H2O” Sandy, epitomizes physical virtuosity with a fierce political bite in the U.S. premiere of the dance-theater work Blak Whyte Gray. 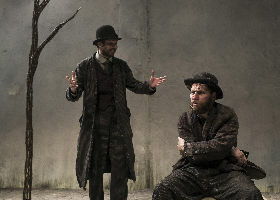 Ireland’s inestimable Druid theater company and Tony Award–winning director Garry Hynes present Samuel Beckett’s irreverent existentialist masterpiece,Waiting for Godot. 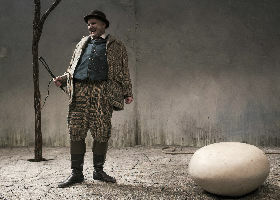 In this refreshing reimagining infused with slapstick comedy, Druid’s award-winning production joins the festival for a 14-performance run. Framing Time combines music, movement, and light in a performance of Morton Feldman’s piano workTriadic Memories. 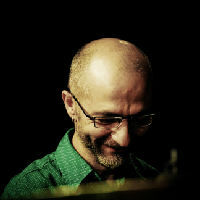 For this world premiere production, co-presented with Baryshnikov Arts Center, pianist Pedja Muzijevic performs Feldman’s spare, poetic piece alongside captivating movement from Spanish choreographer and dancer Cesc Gelabert. The human voice steps into the light in a concert version of The Creation, Haydn’s triumphal oratorio depicting the birth of the universe, presented by Les Arts Florissants under William Christie with a trio of archangel soloists. In a more intimate a cappella offering, the Latvian Radio Choir pairs transcendent Mahler with contemporary Latvian composers at the Church of St. Mary the Virgin. 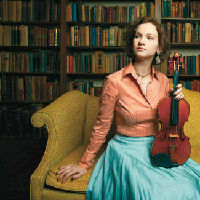 Violinist Hilary Hahn revisits Bach’s captivating sonatas and partitas in a solo recital at Alice Tully Hall, and the Takács Quartet appears with new violinist Harumi Rhodes in a sublime exploration of Schubert, joined by cellist David Requiro. 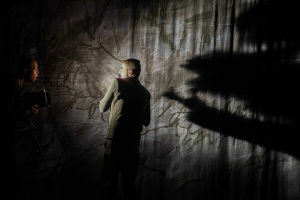 The festival closes with the U.S. premiere of Kaija Saariaho’s chamber opera Only the Sound Remains, directed by Peter Sellars. 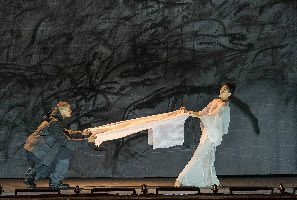 Based on two Noh plays, the hypnotic work creates a shimmering world of supernatural encounters, given voice by countertenor Philippe Jaroussky and bass-baritone Davóne Tines, and embodied by dancer Nora Kimball-Mentzos. As in prior years, the 2018 White Light Festival will offer opportunities for audiences to delve further into the themes of the festival with pre- and post-performance artist talks, film screenings, and a special panel discussion moderated by John Schaefer. White Light Lounges follow many performances: these receptions are exclusive to White Light Festival ticketholders and provide opportunities to mingle with artists and fellow concertgoers while enjoying a complimentary glass of wine or sparkling water. 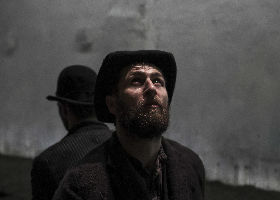 The White Light Festival is one of many programs offered by Lincoln Center that annually activates the campus’s indoor and outdoor spaces across a wide range of the performing arts. Additional presentations include the Mostly Mozart Festival, American Songbook, Midsummer Night Swing, Lincoln Center Out of Doors, ongoing free performances at the David Rubenstein Atrium, and Live From Lincoln Center broadcasts that reach beyond the iconic campus. Lincoln Center also presents a myriad of education programs and presentations for families throughout the year. 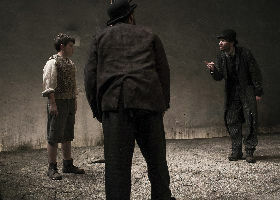 LincolnCenter.org. Tickets for the 2018 White Light Festival are available online at WhiteLightFestival.org, by calling CenterCharge at 212.721.6500, or at the David Geffen or Alice Tully Hall Box Office (Broadway and 65th Street). Bios of artists are available at the Lincoln Center press site, here. Belgian choreographer Sidi Larbi Cherkaoui returns in the Sadler’s Wells production of his acclaimed dance work Sutra, an East-West collaboration with warrior monks from China’s Shaolin Temple that had its U.S. premiere in three sold-out performances at the inaugural White Light Festival in 2010. 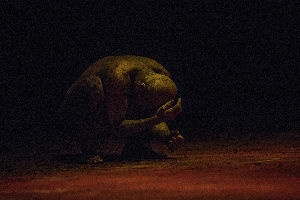 To develop the piece, Cherkaoui spent several months at the original Shaolin Temple in China’s Henan Province, exploring the monks’ Zen Buddhist practice and devotion to kung fu. 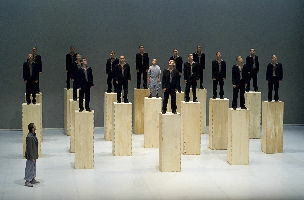 The production blends gravity-defying martial arts with contemporary dance and features 17 Shaolin monks; a striking, ever-changing set of 21 wooden boxes created by British sculptor and Cherkaoui’s frequent collaborator Antony Gormley; and a live score by Polish composer Szymon Brzóska. 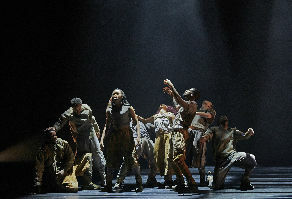 Sutra continues to tour the globe following its world premiere at Sadler’s Wells, London, in May 2008. 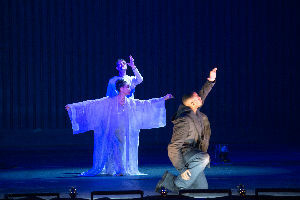 Sutra is made possible in part by The Joelson Foundation and The Harkness Foundation for Dance. 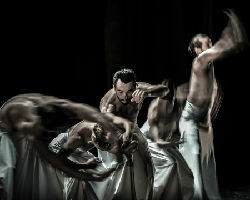 Endowment support for the White Light Festival presentation of Sutra is provided by Blavatnik Family Foundation Fund for Dance. Winner of the Jury Prize at the 2007 Cannes Film Festival, celebrated filmmaker Carlos Reygadas's subtly wrought masterpiece tells the story of a married Mennonite man living in an isolated, conservative community who falls in love with another woman. 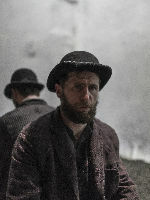 Filmed in Plautdietsch, the low German dialect of Mennonites, it explores the dramatic tension between shared moral values and individual fulfillment. 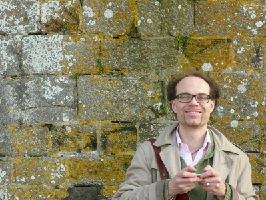 There will be a pre-concert lecture by Boston University music professor Andrew Shenton at 6:15 pm in the Stanley H. Kaplan Penthouse. 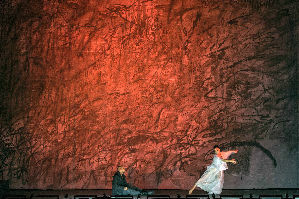 This performance is also part of Lincoln Center’s Great Performers. In this mid-century masterpiece by one of the most influential directors in the history of cinema, Carl Theodor Dreyer offers a transcendent portrait of a farmer's family being torn apart by faith, sanctity, and love. Challenging simple facts and dogmatic orthodoxy, Dreyer's visionary filmmaking layers multiple stories of faith and rebellion, quietly building to a shattering, miraculous climax that feels both immediate and eternal. 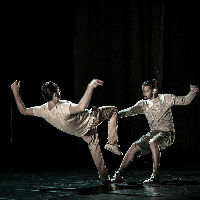 Company Wang Ramirez is a France-based cutting-edge choreographic company crafting a new dance language for the 21st century. In Borderline, the body becomes the object of balance and freedom, as five dancers, often attached to cables, explore the liberating aspects of multiple dance forms, including contemporary dance, hip-hop dance, and aerial movement. With gestures and costumes reflecting images from Greek and Korean traditions, Borderline explores shifting international and personal boundaries, the visual poetry of gravity and weightlessness, and our multicultural urban universe. 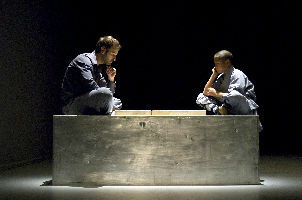 Borderline had its world premiere at Théâtre de l'Archipel in Perpignan, France, in 2013, and includes original music by France’s LACRYMOBOY. 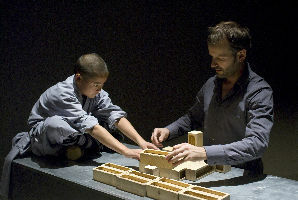 The production receives its New York premiere at the White Light Festival. There will be a post-performance discussion with Honji Wang, Sébastien Ramirez, and Stanford Makishi on Friday, October 19. Borderline is made possible in part by The Joelson Foundation and The Harkness Foundation for Dance. Endowment support for the White Light Festival presentation of Borderline is provided by Blavatnik Family Foundation Fund for Dance. 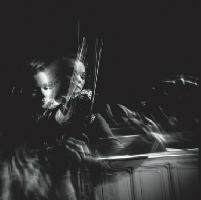 In her first White Light Festival appearance, violin luminary Hilary Hahn offers insightful interpretations of Bach’s sonatas and partitas, the singular works that launched her Grammy-winning recording career. 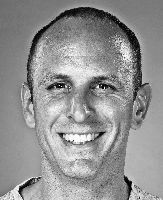 For this solo recital, Hahn explores the labyrinthine beauty of J.S. 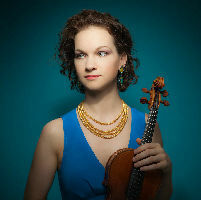 Bach in the minor keys, expanding upon selections from her acclaimed debut recording, Hilary Hahn Plays Bach. Communities are essential building blocks of society. The communities to which we belong, by circumstance or by choice, define both who we are and who we are not. In recent times, major shifts in the concept of community have forced us to question our long-held notions of identity and examine how it shapes our worldview. Join WNYC’s John Schaefer and a group of leading thinkers from such fields as technology, religion, and the arts for a lively discussion of the origins of community and its rapid evolution in the 21st century. 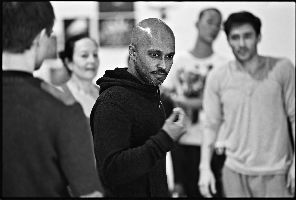 Choreographer and performer Akram Khan returns to the White Light Festival with the U.S. premiere of XENOS, which marks his final solo performances as a dancer in a full-length piece. 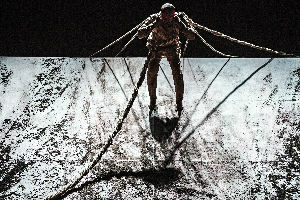 Meaning “stranger” or “foreigner,” XENOS conjures up the shell-shocked dreams of a colonial soldier in the First World War. 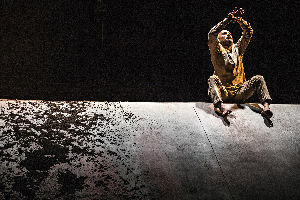 Combining classical Indian kathak and contemporary dance, Khan grapples with personal mythology, otherness, and the lucid reality of a world set aflame. 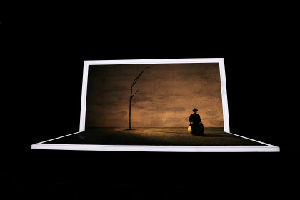 XENOS had its world premiere on February 21, 2018, at the Onassis Cultural Centre in Athens. 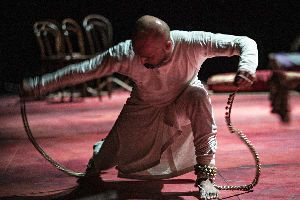 Khan performed his acclaimed solo DESH at the White Light Festival in 2013, and his company presented Vertical Road at the White Light Festival in 2012. 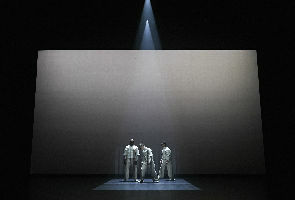 A co-production of Lincoln Center for the Performing Arts, New York; Onassis Cultural Centre – A co-production of Lincoln Center for the Performing Arts, New York; Onassis Cultural Centre – Athens, The Grange Festival Hampshire, Sadler’s Wells London, New Vision Arts Festival Hong Kong, The´a^tre de la Ville Paris, Les The´a^tres de la Ville de Luxembourg, National Arts Centre Ottawa, The 20th China Shanghai International Arts Festival (CSIAF), Centro Cultural de Bele´m, Festspielhaus St. Po¨lten, Grec 2018 Festival de Barcelona, HELLERAU – European Center for the Arts Dresden, Tanz Ko¨ln, Edinburgh International Festival, Adelaide Festival, Festival Montpellier Danse 2018, Julidans Amsterdam, Canadian Stage Toronto, Romaeuropa Festival, Torinodanza festival / Teatro Stabile di Torino - Teatro Nazionale, Lincoln Center for the Performing Arts New York, University of California Berkeley, Danse Danse Montreal, Curve Leicester. 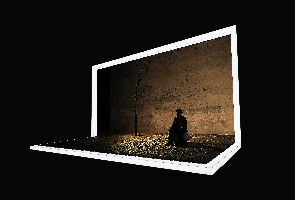 Framing Time is a quietly thrilling meditation on music, light, and movement centered on Morton Feldman’s 1981 solo piano piece, Triadic Memories. 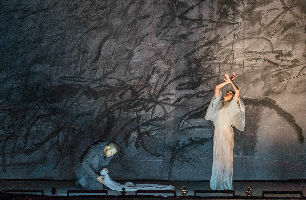 For this world premiere production at Baryshnikov Arts Center, Feldman’s spare, mystical piano piece—a work the composer described as the “biggest butterfly in captivity”—merges with an intricate color and light interplay, joined by dance and sculptural elements. 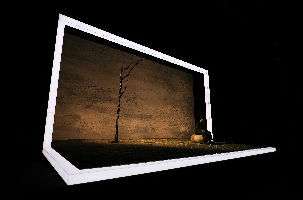 Vividly rendered by pianist Pedja Muzijevic, the shifting colors and elastic tempos of Feldman’s painterly music are transformed into acute, poetic movement by Spanish choreographer and dancer Cesc Gelabert, with set and lighting design by Burke Brown. 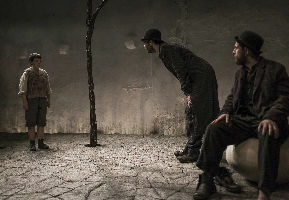 Ireland’s incomparable Druid theater company presents Samuel Beckett’s irreverent masterpiece, Waiting for Godot. Existential ennui meets startling slapstick comedy in this refreshing reimagining by Tony Award–winning director Garry Hynes. 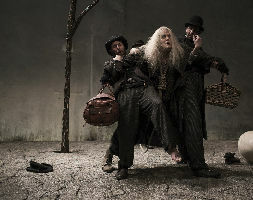 Druid’s interpretation of Beckett’s iconic play premiered in the 2016 Galway International Arts Festival and has since won acclaim from audiences and critics worldwide, as well as multiple Irish Times Irish Theatre Awards. 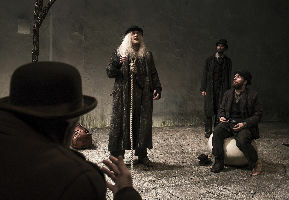 This production is Druid’s first White Light Festival engagement; Druid last appeared at Lincoln Center with DruidShakespeare at Lincoln Center Festival in 2015. 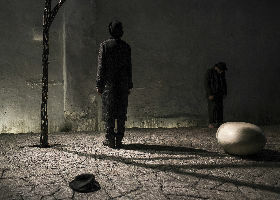 Waiting for Godot is made possible in part by Laura Pels International Foundation for Theater. 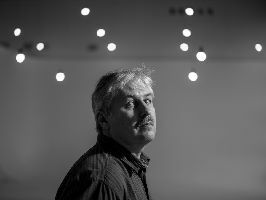 Druid gratefully acknowledges the support of The Arts Council of Ireland and Culture Ireland. Known around the world for its miraculous sound and imaginative programs, the Latvian Radio Choir returns to the White Light Festival for a luminous evening of a cappella music at the Church of St. Mary the Virgin. 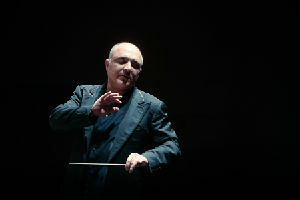 Pairing transcendent Mahler with contemporary Latvian composers—including a world premiere by Juris Karlsons—and a beautiful meditation by visionary Ukrainian composer Valentin Silvestrov, the choir moves seamlessly between Latvian, Old Slavonic, Tibetan, German, and English texts to illuminate a universal yearning for inner peace. 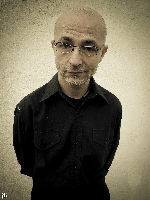 The Latvian Radio Choir and artistic director Sigvards Klava made their U.S. debuts at the White Light Festival in 2012. 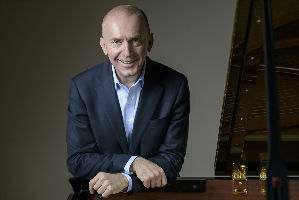 Baroque music exponent William Christie, founder of the exceptional period-instrument orchestra and choir Les Arts Florissants, is no less a master of Viennese Classicism. The superlative ensemble and its esteemed director return to the White Light Festival with Haydn’s Creation, the triumphal oratorio featuring a trio of archangel soloists and a chorus of jubilant angels. Using text from the Bible and Milton’s Paradise Lost, Haydn brilliantly depicts the birth of the universe through the emergence of stormy seas, radiant sky, sprightly fauna, and awestruck humanity. Christie and Les Arts Florissants released a two-disc recording of Haydn’s Die Schöpfung on Virgin Classics in 2007. 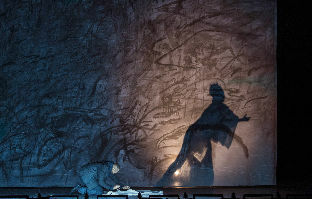 Les Arts Florissants presented a highly praised interpretation of Handel’s Theodora in the 2015 White Light Festival and performed Charpentier motets in the 2012 White Light Festival. There will be a pre-concert lecture by Benjamin D. Sosland, founding director of Juilliard Historical Performance, at 6:15 pm in the Stanley H. Kaplan Penthouse. 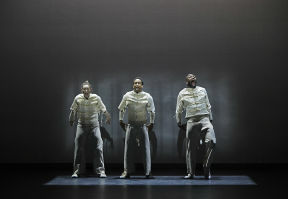 Olivier Award–winning East London company Boy Blue brings the electrifying dance-theater work Blak Whyte Gray to Lincoln Center for its U.S. premiere. Driven by founders Michael “Mikey J” Asante and Kenrick “H2O” Sandy, Boy Blue infuses hip-hop dance with African-inspired grooves to create performances pulsing with physical virtuosity. For Blak Whyte Gray (2017), Boy Blue’s first full-length abstract piece, a charged electronic score, bold staging, and powerful imagery call forth a deeply rooted cultural awakening on themes of oppression, identity, and transcendence. 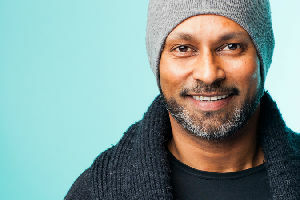 The critically acclaimed Blak Whyte Gray was nominated for Best New Dance Production at the 2017 Olivier Awards and for Best Modern Choreography in the 2017 Critics’ Circle National Dance Awards. There will be a post-performance discussion with Michael “Mikey J” Asante and Kenrick “H2O” Sandy on Friday, November 16. Blak Whyte Gray is made possible in part by The Joelson Foundation and The Harkness Foundation for Dance. Endowment support for the White Light Festival presentation of Blak Whyte Gray is provided by Blavatnik Family Foundation Fund for Dance. 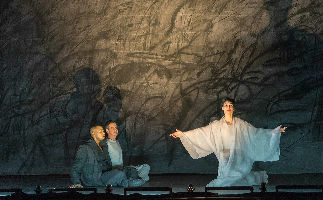 In Kaija Saariaho’s hypnotic chamber opera Only the Sound Remains, based on Ezra Pound’s translations of two Noh plays, a ghost and an angel emerge from a world of light and shadow. 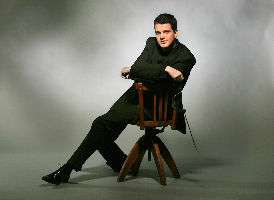 Countertenor Philippe Jaroussky gives voice to these supernatural hosts and bass-baritone Davóne Tines embodies their mortal counterparts in this U.S. premiere directed by Peter Sellars. 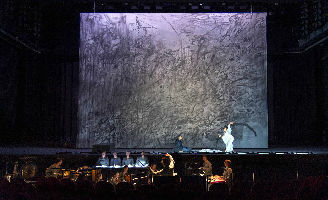 Transformed by the visionary artwork of artist and MacArthur Fellowship recipient Julie Mehretu, this world reverberates and shimmers with spectral power and features a celestial dance by Nora Kimball-Mentzos. 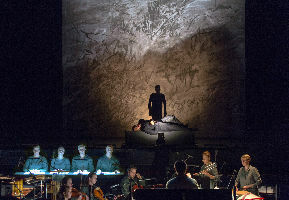 Only the Sound Remains received its world premiere at the Dutch National Opera in March 2016. 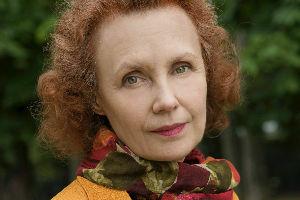 There will be a pre-performance discussion with Kaija Saariaho, Peter Sellars, and Ara Guzelimian on Sunday, November 18 at 3:45 pm in the Agnes Varis and Karl Leichtman Studio. 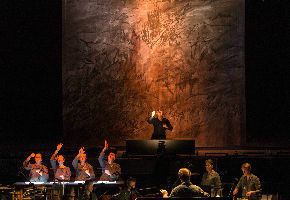 A co-production of Dutch National Opera, Amsterdam, Finnish National Opera, Opera National de Paris, Teatro Real, and Canadian Opera Company. 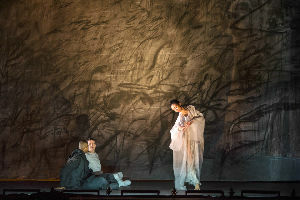 As one of the original co-commissioners of Kaija Saariaho’s Only the Sound Remains, the Canadian Opera Company is proud to support the North American premiere of this work at Lincoln Center’s White Light Festival. 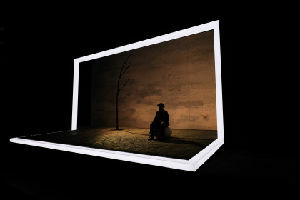 The White Light Festival is a presentation of Lincoln Center for the Performing Arts (LCPA) serves three primary roles: presenter of artistic programming, national leader in arts and education and community engagement, and manager of the Lincoln Center campus. 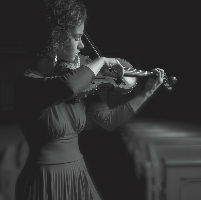 A presenter of more than 3,000 free and ticketed events, performances, tours, and educational activities annually, LCPA offers a variety of festivals and programs, including American Songbook, Avery Fisher Career Grants and Artist program, David Rubenstein Atrium programming, Great Performers, Lincoln Center Emerging Artist Awards, Lincoln Center Out of Doors, Lincoln Center Vera List Art Project, LC Kids, Midsummer Night Swing, Mostly Mozart Festival, White Light Festival, the Emmy Award–winning Live From Lincoln Center, which airs nationally on PBS, and Lincoln Center Education, which is celebrating more than four decades enriching the lives of students, educators, and lifelong learners. 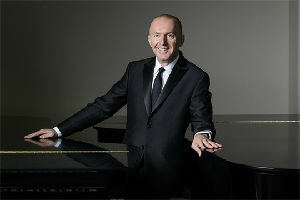 As manager of the Lincoln Center campus, LCPA provides support and services for the Lincoln Center complex and the 11 resident organizations: The Chamber Music Society of Lincoln Center, Film Society of Lincoln Center, Jazz at Lincoln Center, The Juilliard School, Lincoln Center Theater, The Metropolitan Opera, New York City Ballet, New York Philharmonic, The New York Public Library for the Performing Arts, School of American Ballet, and Lincoln Center for the Performing Arts. Lincoln Center has become a leading force in using new media and technology to reach and inspire a wider and global audience. Reaching audiences where they are—physically and digitally—has become a cornerstone of making the performing arts more accessible to New Yorkers and beyond. 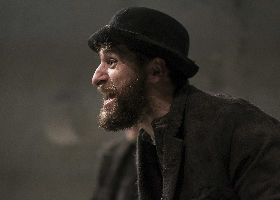 For more information, visit LincolnCenter.org. Lincoln Center is committed to providing and improving accessibility for people with disabilities. 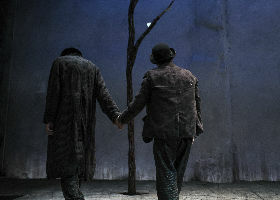 For information, contact Accessibility at Lincoln Center at [email protected] or 212.875.5375. The White Light Festival 2018 is made possible by The Shubert Foundation, The Katzenberger Foundation, Inc., Laura Pels International Foundation for Theater, The Joelson Foundation, The Harkness Foundation for Dance, Great Performers Circle, Chairman’s Council, and Friends of Lincoln Center. 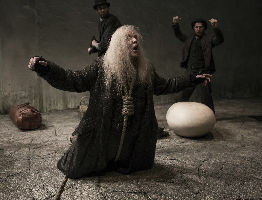 Public Support is provided by New York State Council on the Arts with the support of Governor Andrew M. Cuomo and the New York State Legislature. 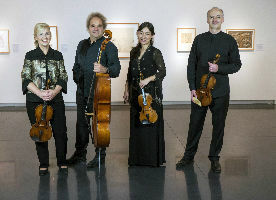 Caption: David Requiro, guest cello; Takács Quartet. 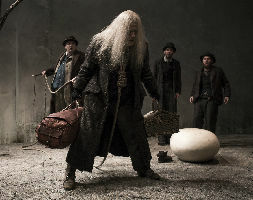 Caption: Druid’s production of WAITING FOR GODOT by Samuel Beckett; Directed by Garry Hynes. 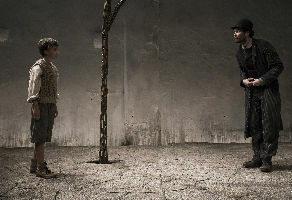 Caption: WAITING FOR GODOT By Samuel Beckett; Directed by Garry Hynes. 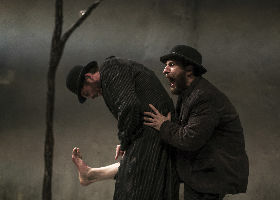 Caption: WAITING FOR GODOT By Samuel Beckett; Directed by Garry Hynes; Produced by Druid.